Dignity Designs is a Fair Trade business that employees each one of the mothers from Heshima. While their children attend Heshima for therapy, the moms come next door to the Dignity Designs workshop to create beautiful products. All our products are made from African materials: for our jewelry we use West African trade beads, cow bone beads, recycled brass beads and ostrich egg shell beads. And for our textile products we use bright, bold African fabric. Each mother receives a monthly salary and help with health care for herself and her child. Dignity Designs is a place where these mothers feel love, security and dignity. 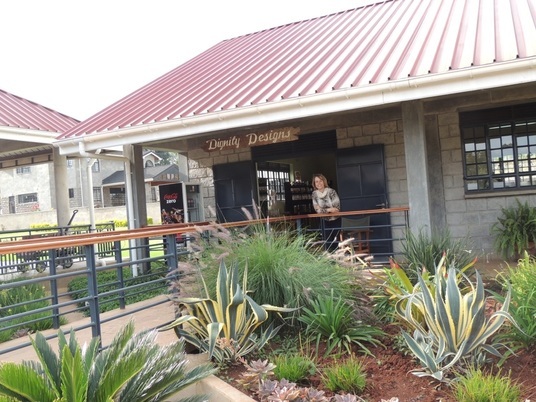 We have a large gift shop located on the Heshima campus in Nairobi where you can purchase our product.